This newly developed chassis with superlight carbon fibre main frame and 120mm of travel almost gives you an unfair advantage in marathon races and other long distance competitions. 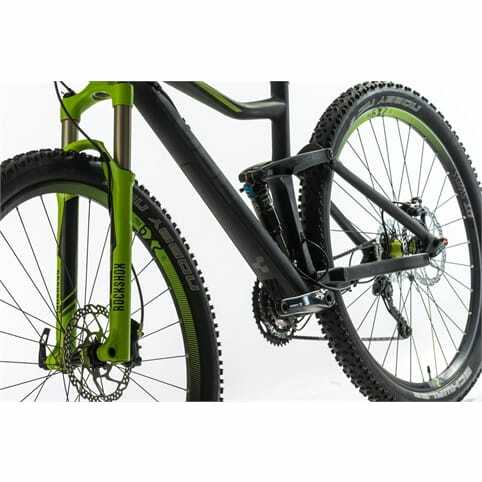 But with a Rock Shox Reverb seatpost and XT groupset our Stereo 120 HPC Pro can also take on that endless singletrack, assisted by the Fox BoostValve shock and great DT Swiss wheelset. Take a lightweight, superstiff HPC carbon moncoque front frame and add a rear triangle of robust and sturdy 6061 T6 aluminum. Add 120mm of travel. The result is the perfect bike for tech lovers and the ambitious rider who wants to cross the alps. The Efficient Trail Control four link frame uses Advanced Twin Mold carbon fibre construction and features ARG geometry for an agile ride with the typical 29er fast-rolling features. 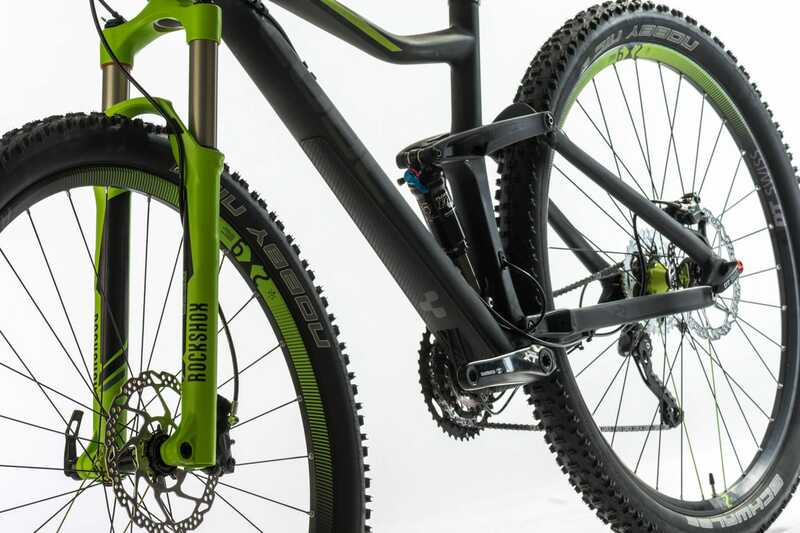 Suspension components comprise a Rock Shox Reba RL air fork with Motion Control and PushLoc remote at the front, and a Fox Float CTD BoostValve shock with CUBE custom setup at the rear. The light, stiff DT CSW AM 2.9 wheels are key parts of this all-round package. The DT wheels have a wider C23 rim for stiffness and to support large tyres, and are equipped with a 15mm front and X12 rear axle for enhanced rigidity. The Syntace F149 stem and 720mm wide CUBE Flat Race Bar are a great combination.